The median home value in Nashville, TN is $215,090. This is higher than the county median home value of $207,600. The national median home value is $185,800. The average price of homes sold in Nashville, TN is $215,090. Approximately 41.43% of Nashville homes are owned, compared to 42.58% rented, while 9.55% are vacant. 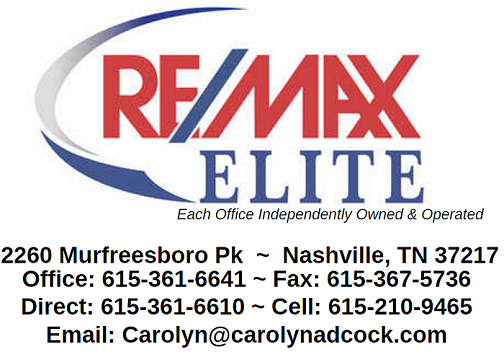 Nashville real estate listings include condos, townhomes, and single family homes for sale. Commercial properties are also available. If you see a property you’re interested in, contact a Nashville real estate agent to arrange a tour today! Welcome to the West Mill townhomes in the Nations neighborhood! This home features Carrera marble counters throughout, hardwoods downstairs, fresh and open floor plan, and bright spaces with the white cabinet pallet and windows throughout. His/her closets in the master bedroom, extra storage in the attic, and an enclosed patio space perfect for summertime. This neighborhood also features a pool and clubhouse, with ample parking both in the complex and in front of this home. Charming, renovated one level home in Woodbine*New windows, doors, cabinets, granite, appliances, HVAC*Refinished hardwoods throughout* TWO new bathrooms * Large, fenced backyard* 500sq.ft. garage! Close to everything and priced to sell!! Open Floor Plan! Move In Ready! The back deck and backyard are a dream for entertaining! The neighborhood is conveniently located close to downtown and shopping. Roof, water heater, HVAC, Windows, and dishwasher have all been replaced recently! Come see this before it is gone! Amazing home in unbeatable location-steps to Vanderbilt, Centennial Park, hospitals, Greenway and Sylvan Park shops/restaurants! Largest home in development! Top floor is master suite w/ huge walk-in closets + walk-in attic storage. 3 full BR/BA PLUS separate office with closet - could be 4th BR. ONLY home in development with large, fenced dog run/side yard!! 2-car garage, double porches, Energy Star standards. Freshly painted, new designer light fixtures and top of the line finishes throughout! Gorgeous home on cul-de-sac in Belle Meade! Updated interior with a spacious fenced in backyard just steps from Cheekwood (membership is free in neighborhood). This home has the charm of Belle Meade with all the modern amenities. Just steps away from Percy Warner Park and Golf Course. Rare opportunity for a home in this area under 1M. Check out this Gorgeous Nashville home just outside the heart of the city. Great for business professionals looking for both easy access to downtown Nashville and BNA airport. Perfect for the outdoor adventurer being approximately 2 miles from Percy Priest Lake. Extremely well maintained, with hardwood/tile throughout. Granite and marble counters, stainless appliances, recessed LED lighting throughout. Screened in balcony off Master bedroom. Beautifully maintained single level home on 1/3 acre lot just 6 miles north of Downtown Nashville. The private fenced in back yard backs up to a peaceful creek. Walking distance to Parkwood Community Center/Park. Inside the Briley loop and easy access to I-65, I-24, and Briley Parkway. Minutes from Skyline Medical Center. Master Bedroom Downstairs with walk in closet, fireplace in living area, Kitchen (w/granite) and Dining area, Laundry room/office. Then move upstairs to a large wide open Multi Purpose room(W/Closet) could be 4th BR. 2 Large Bedrooms and 1 bathroom, a hidden 4x15 Safe Room (safe negotiable). The fenced in private Back Yard has been landscaped for full family enjoyment. 2-car garage. Close to i-40 access and all the new shopping in Bellevue. Don't miss this one! Hardwoods throughout, abundant kitchen storage, large picture windows in den provide plenty of natural light! Large deck perfect for entertaining in quiet community just steps away from Shelby Bottoms Greenway! BASEMENT HOME NEAR BRICK CHURCH PIKE. New construction in great location! This spacious home is perfect for entertaining. Large bonus/family room in addition to a finished basement, perfect for in-law suite or teen room. Basement has full bath and small kitchenette. Quiet neighborhood! A hidden gem nestled in the private tree tops! 3BR. 2.5BA End Unit! Living Room and Master Suite open on to decks. Walk-in Closet and large Master bath. Right across from Percy Warner Park.Minutes away from new Bellevue shopping center and easy drive into Downtown Nashville and Brentwood. Beautiful Home on great level yard. Convenient to Interstate, shopping, schools and restaurants. Great home selling AS IS... Has such potential and in a quiet neighborhood. 20 minutes from Downtown Nashville. Has a two car attached carport and a covered deck. Also, an above ground pool. Would be a great place for a garden. Investor special in "opportunity zone" and coveted Cleveland Park. Remodel or level and rebuild new. Area has incredible long term growth. Property is being conveyed "as is" and requires a complete remodel. Rare larger floor plan in this wonderful 55+ community! Convenient, single level with 3 bedrooms and 2 full baths. Large 2 car garage with additional storage in the decked attic. Walk-in tiled shower for easy access in hall bath. Located directly across the street from the clubhouse and pool of this active, vibrant community! Great layout with master on the main level, spacious family room open to formal dining & kitchen open to breakfast dining. Upstairs spacious bonus room, 2 bedrooms & 1 bath. Deck 2018. Gas Water Heater 2017. HVAC approx. 7 years old. Kitchen w/corian countertops and plenty of cabinet storage. Roof approx. 12 years old. Great location close to shopping and restaurants! Great opportunity for a move-in ready home! New carpet. New HVAC in 2016. All appliances remain. Large living room, open kitchen/dining room. Over 800 sq. ft. in unfinished basement with 8' ceiling clearance. Two-car basement garage. Professionally cleaned and ready to go. Enjoy one leveling at it's finest with this all brick home located in a cul de sac. Well maintained 3 bedroom home features hardwood floors, stainless appliances, upgraded light fixtures and plantation shutters. Convenient location just between Old Hickory Blvd and Concord Rd. Elegant renovation in beautiful green hills; situated 10 min from downtown, 9 minutes from green hills mall & 5 minutes to 12 south. Private .34 acre lot with sweeping landscaping. No expense spared in this turnkey renovation, see for yourself! TOTAL ECLIPSE OF THE HEART: Sunbathed open floor plan w/TONS of windows! Chef's kitchen w/professional appliances, focal fireplace wall, vaulted master suite w/huge shower & morning bar perfect for your morning coffee, hardwood flooring, high-end finishes, contemporary metal hand railing, granite/quartz, designer fixtures, attached 2 car garage (no more getting wet) and a rooftop terrace w/views! Better your lifestyle by walking to restaurants and shops at Edgehill Village or to Belmont!